Investigators at the Cedars-Sinai Heart Institute – who showed in previous research that cardiac stem cell therapy reduces scarring and regenerates healthy tissue after a heart attack in humans – have identified components of those stem cells responsible for the beneficial effects. In a series of laboratory and lab animal studies, Heart Institute researchers found that exosomes, tiny membrane-enclosed "bubbles" involved in cell-to-cell communication, convey messages that reduce cell death, promote growth of new heart muscle cells and encourage the development of healthy blood vessels. "Exosomes were first described in the mid-1980s, but we only now are beginning to appreciate their potential as therapeutic agents. We have found that exosomes and the cargo they contain are crucial mediators of stem cell-based heart regeneration, and we believe this might lead to an even more refined therapy using the 'active ingredient' instead of the entire stem cell." said Eduardo Marbán, MD, PhD, director of the Cedars-Sinai Heart Institute and a pioneer in developing investigational cardiac stem cell treatments. "The concept of exosome therapy is interesting because it could potentially shift our strategy from living-cell transplantation to the use of a non-living agent. Stem cells must be carefully preserved to keep them alive and functioning until the time of transplant, and there are some risks involved in cell transplantation. In contrast, exosome therapy may be safer and simpler and based on a product with a longer shelf life." he added. In lab experiments, the researchers isolated exosomes from specialized human cardiac stem cells and found that exosomes alone had the same beneficial effects as stem cells. Exosomes also produced the same post-heart attack benefits in mice, decreasing scar size, increasing healthy heart tissue and reducing levels of chemicals that lead to inflammation. Even when exosomes were injected in mice after heart attack scars were well-established, and traditionally viewed as "irreversible," they brought about multiple structural and functional benefits. Exosomes transport small pieces of genetic material, called microRNAs, that enable cells to communicate with neighboring cells to change their behavior. The researchers pinpointed one such microRNA – one that is especially plentiful in cardiac stem cell exosomes – as responsible for some of the benefits. It is likely, they believe, that this and other microRNAs in the exosomes work together to produce the regenerative effects. "The exosomes appear to contain the signaling information needed to regenerate healthy heart tissue, they are naturally able to permeate cells, and they have a coating that protects their payloads from degradation as they shuttle from cell to cell. Injecting exosomes derived from specialized cardiac stem cells may be an attractive alternative to the transplantation of living cells." said Marbán, senior author of an article in the May 6, 2014 Stem Cell Reports. Marbán and his clinical and research teams in 2009 performed the first procedure in which a heart attack patient's heart tissue was used to grow specialized stem cells that were injected back into the heart. In 2012, they reported results of a clinical trial that found significant reduction in the size of heart attack-caused scars in patients who underwent the experimental stem cell procedure, compared to others who did not. 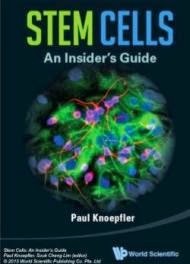 They also published findings from an animal study showing that the effect of stem cell therapy following heart attack is indirect – the stem cells themselves do not survive long after being placed in the heart, but they cause enduring effects by stimulating the rapid growth of surviving heart tissue and attracting stem cells already in the heart, which mature into functional heart cells. The new study sheds light on the underlying mechanisms, crediting stem cell exosomes and the communications cargo they carry for orchestrating regeneration to repair heart attack damage. The process to grow cardiac-derived stem cells was developed earlier by Marbán when he was on the faculty of Johns Hopkins University. The university has filed for a patent on that intellectual property and has licensed it to Capricor Inc., a biotechnology company in which Marbán is a founder and equity holder. Cedars-Sinai has filed for a patent for the exosome discovery and has licensed it to Capricor. The company provided no funding for this study.